The University of Illinois Springfield Visual Arts Gallery welcomes Roger Shimomura, an internationally renowned and celebrated artist known for his prints, paintings, and performance works. The gallery exhibit, America Behind Barbed Wire, runs from October 1 through December 1, and offers a varied collection of his prints. Shimomura will present a lecture on Thursday, October 11 from 5:30 – 6:30 p.m. in the Public Affairs Center, Room F. A gallery reception will follow from 6:30-8 p.m. in the UIS Visual Arts Gallery, located in the Health and Science Building, Room 201. This event is free and open to the public. Shimomura is a significantly influential and celebrated artist. His work is an aesthetic and political comparison between contemporary America and traditional Japan. As a small child during World War II, he and his family were relocated from their home in Seattle to a Japanese American internment camp in Idaho. Using images from both cultures, Shimomura creates a complicated layering of pictorial information and social observation. He creates work that often pivots on exposing and battling both past and prevailing stereotypes and misconceptions that he encounters as a third generation Asian American. His stylistic representations reflect the aesthetic conventions of comic books, cartoons, and Pop Art. Working in these Western traditions, America Behind Barbed Wire reflects the artist’s long interest in the status of Asian Americans within American society. Shimomura is a University Distinguished Professor Emeritus at the University of Kansas in Lawrence, Kansas. He is in the permanent collections of over 85 museums nationwide, and has had over 100 solo exhibitions of his paintings and prints, as performance pieces. Select venues include the Franklin Furnace, New York City, Walker Art Center, Minneapolis and The Smithsonian Institution. He is the recipient of four National Endowment for the Arts Fellowships in painting and performance art, a McKnight Fellowship, the Kansas Governor's Artist Award, a Civil Liberties Public Education Fund Fellowship, the Joan Mitchell Foundation Award, and was the first artist internationally to be awarded a Japan Foundation Grant, as well as the first in the state to receive the Kansas Arts Commission Artist Fellowship in Painting. His personal papers and letters are being collected by the Archives of American Art, Smithsonian Institution in Washington, D.C. The UIS Visual Arts Gallery is centrally located on the UIS campus in the Health and Science Building, Room 201 (HSB 201). Gallery hours are Monday through Thursday, 11 a.m. to 6 p.m.
For more information regarding America Behind Barbed Wire and future exhibitions, please visit the UIS Visual Arts Gallery website at www.uis.edu/visualarts/gallery, or contact the gallery by phone at 217/206-6506 or alach3@uis.edu. 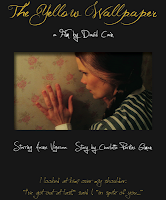 WHAT: The University of Illinois Springfield Women’s Center presents a screening of the film The Yellow Wallpaper. A discussion led by Springfield-based directors David Cain, Kevin Purcell, and actress Aasne Vigesaa will follow the screening. WHEN: Sunday, October 7, 2012 at 7 p.m.
Vigesaa's spell-binding performance as the "Narrator" leads you on an emotional journey of discovery and evolution as she transcends depression, her overbearing husband and the repressive medical practices of her era. David Cain is an artist, filmmaker, composer, author, animator, and teacher. His production company, UMEDIA, Inc., is located at the Hoogland Center for the Arts in Springfield, where he is a resident artist. Kevin Purcell is a founding member of Over the Moon Productions, and directed Shakespeare Shorts and other plays. As an actor, Kevin was seen in UIS Theatre's production of As You Like It, as well as local productions. Aasne Vigesaa holds an MFA in Acting from Northern Illinois University, and has taught as an adjunct for UIS Theatre. The screening and discussion of The Yellow Wallpaper is being co-sponsored by the Engaged Citizenship Common Experience (ECCE) Speakers Series and UIS Theatre. The event is free and open to the public. WHAT: Several student organizations at the University of Illinois Springfield are sponsoring a voter registration drive and educational events on campus to mark the first-ever National Voter Registration Day. WHEN: Tuesday, September 25, 2012 from 4 to 6 p.m. DETAILS: Register to vote, learn more about election issues, and the importance of voting from UIS professors and candidates. Speakers for the event include UIS global studies professor Steve Schwark, who conducts research on American foreign policy, and UIS emeritus professor of political science Kent Redfield, interim director of the Institute for Legislative Studies. Students have also invited 13th U.S. Congressional District candidates Dr. David Gill and Rodney Davis to speak at the event. In 2008, six million Americans didn't vote because they missed a registration deadline or didn’t know how to register. The purpose of National Voter Registration Day is to make sure no one is left out. On September 25, volunteers and organizations from all over the country will "hit the streets" for National Voter Registration Day. This single day of coordinated ﬁeld, technology, and media efforts will create pervasive awareness of voter registration opportunities nationwide. The UIS event is being sponsored by the UIS Volunteer & Civic Engagement Center, Leadership for Life, Student Government Association, Black Male Collegiate Society, College Democrats, and College Republicans. The event will feature free food and music. For more information, contact Mark Dochterman, director of the UIS Volunteer & Civic Engagement Center at 217/206-8448 or mdoch2@uis.edu. 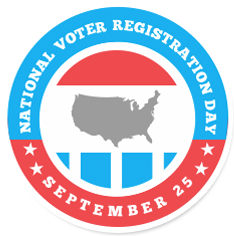 More information on the national event can be found at http://nationalvoterregistrationday.org/. WHAT: The University of Illinois Springfield Engaged Citizenship Common Experience (ECCE) Speakers Series will host a discussion on the book Gender Outlaw: On Men, Women and the Rest of Us. Award-winning author Kate Bornstein will lead the presentation and discussion. WHEN: Wednesday, October 3, 2012 at 4 p.m. DETAILS: Bornstein is a performance artist and playwright who has authored several books in the field of Women and Gender Studies. Her book, Gender Outlaw: On Men, Women, and the Rest of Us, is described as being part coming-of-age story and part mind-altering manifesto on gender and sexuality, coming directly to you from the life experiences of a transsexual woman. In this talk, Bornstein will discuss Gender Outlaw and the gender continuum. A reception and book signing will follow the event. This event serves as the kickoff event for the October awareness month “Queertober”. Bornstein’s books are taught in five languages in over 200 colleges and universities around the world. She lives in New York City with her girlfriend, three cats, two dogs, and one turtle, in whose company she wrote her new memoir, A Queer and Pleasant Danger: the true story of a nice Jewish boy who joins the Church of Scientology, and leaves twelve years later to become the lovely lady she is today." This event is co-sponsored by the UIS College of Education and Human Services, College of Liberal Arts & Sciences, Diversity Center, Human Development Counseling Department, LGBTQA Resource Office, Psychology Department, Student Government Association, and Women & Gender Studies Department. For a list of other ECCE Speakers Series events and more information, visit http://illinois.edu/goto/speakerseries. All events are free and open to the public. WHAT: Tom Hayden, one of the co-founders of the 1960s group Students for a Democratic Society and author of the Port Huron Statement, will speak at the University of Illinois Springfield as part of the Engaged Citizenship Common Experience (ECCE) Speakers Series. DETAILS: Few symbolized 1960s radicalism as boldly as Tom Hayden. In March 1962, the 22-year-old student journalist and activist sat down in his Manhattan apartment to begin work on an "agenda for a generation," a manifesto that would distil the fears and hopes and values of the student movement then rising on American campuses. Three months later, Hayden co-founded the Students for a Democratic Society (SDS), the leading organization of the New Left movement. Under his direction, the the Port Huron Statement, set out a vision of bottom-up "participatory democracy" as the common thread binding the various left-liberal causes – civil rights, anti-poverty, anti-nuclear, peace, labor, free speech, campus reform – and a life-affirming answer to the conformism and apathy of the time. In addition to being a co-founder of SDS, he was a Freedom Rider in the South, a member of the Chicago Eight put on trial for disrupting the 1968 Democratic National Convention, and a Vietnam War protester. Later he earned fame in other ways, by marrying actress and activist Jane Fonda and serving in the California legislature. UIS Lunch & Learn Series presents "Chasing the American Dream to the Heartland"
WHAT: The University of Illinois Springfield Alumni SAGE Society and Illinois State Historical Society presents “Chasing the American Dream to the Heartland” as part of its annual Lunch and Learn Series. WHEN: Wednesday, October 3 from 11:30 a.m. to 1:30 p.m. DETAILS: Mike Lelys, executive director of Oak Ridge Cemetery and a first generation Lithuanian-American, will discuss the two distinct waves of Lithuanian immigration to Sangamon County, and how that culture has struggled, survived, and thrived in Illinois. Victor Juarez, Philadelphia campus taxpayer advocate for the IRS and first generation Peruvian-American, will share perspectives on Latino and Hispanic culture and immigration to central Illinois. Other upcoming Lunch & Learn events include “The Sky is Falling” on November 9 and “Gerontological Education: Early Foundations and Future Demands” on December 5. A discounted $35 series subscription is available if reservations are received by October 1. Lunch is complimentary for the November 9 program as part of the "Back to Class for a Day" event. WHAT: The University of Illinois Springfield and the United States Hispanic Leadership Institute will host over 200 high school students from around Illinois as part of a student leadership fair. WHEN: Friday, September 21, 2012 from 9 a.m. to 2:50 p.m. DETAILS: The student leadership fair will allow high school students to hear nationally prominent motivational speakers, attend workshops on preparing for college, financial aid/literacy, and leadership development. Students will also have the opportunity to visit with recruiters representing vocational and technical schools, community colleges, 4-year academic institutions, and the military. In addition, students will receive helpful materials on college preparation and applying for scholarships. Opening remarks will be delivered by UIS Chancellor Susan J. Koch and Jaime Cruz, president of the UIS Organization of Latin American Students at 9:30 a.m. in TRAC. Following the remarks, a keynote address will be delivered by speaker, educator, and author Jimmy Cabrera. 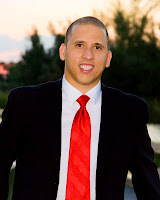 The leadership development session will be led by motivational speaker Andres Lara. The United States Hispanic Leadership Institute is a Chicago-based national nonprofit, nonpartisan, tax-exempt organization that promotes education, civil participation, and leadership development for Latinos and other similarly disenfranchised groups. The free event is open to high school students of all backgrounds; however registration is required for admission. Students may register online at ushlislsspringfieldil2012.eventbrite.com. For more information, contact Dr. Clarice Ford, UIS associate dean of students and Diversity Center director at 217/206-6333 or cford21@uis.edu. UIS hosts "Property Rights on Trial: Fighting Eminent Domain and Civil Forfeiture Abuse"
WHAT: The University of Illinois Springfield Department of Liberal Studies, the Academy on Capitalism and Limited Government Foundation, and the UIS Liberty Forum presents “Property Rights on Trial: Fighting Eminent Domain and Civil Forfeiture Abuse”. The presentation will be led by Attorney Scott Bullock of the Institute for Justice. WHEN: Tuesday, September 18, 2012 at 6 p.m. DETAILS: Scott Bullock serves as the senior attorney at the Institute for Justice. 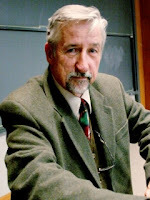 His work “focuses on property rights and economic liberty cases in federal and state courts.” He argued the controversial landmark Supreme Court case Kelo v. City of New London, defending the rights of residents threatened by the abuse of eminent domain for private development. For more information, contact William Kline, assistant professor of Liberal & Integrative Studies at 217/206-7418 or wklin2@uis.edu. WHAT: The University of Illinois Springfield Engaged Citizenship Common Experience (ECCE) Speakers Series and WUIS public radio will host a Constitution Day event exploring the 2012 elections. The discussion will be moderated by WUIS News Director Sean Crawford. DETAILS: WUIS Statehouse Bureau Chief Amanda Vinicky and Chicago Sun-Times Bureau Chief Dave McKinney recently returned from covering this year’s Republican National Convention in Tampa and the Democratic National Convention in Charlotte. They closely followed the Illinois delegations at each event and will share how these partisan platforms relate to the quadrennial constitutional election process. Vinicky earned an M.A. in Public Affairs Reporting from the University of Illinois Springfield in 2005. She completed undergraduate degrees in Broadcast Journalism and Political Science from the University of Illinois at Urbana-Champaign in 2003. Amanda has been covering the Illinois General Assembly for WUIS and the Illinois Public Radio network since 2006. McKinney has been Springfield bureau chief for the Chicago Sun-Times since 1995. Before that, he was a government and general assignment reporter at the Daily Herald of Arlington Heights, where he began his career after graduating from Eastern Illinois University with a journalism degree in 1986. He has won numerous awards for his political coverage. Attendees will be encouraged to ask questions and offer thoughts on the effectiveness of this democratic process. Speakers Series presents "How Young Adults Can Move Forward to Challenge the Status Quo"
WHAT: The University of Illinois Springfield Engaged Citizenship Common Experience (ECCE) Speakers Series and the Organization of Latin American Students at UIS presents “How Young Adults Can Move Forward to Challenge the Status Quo”. 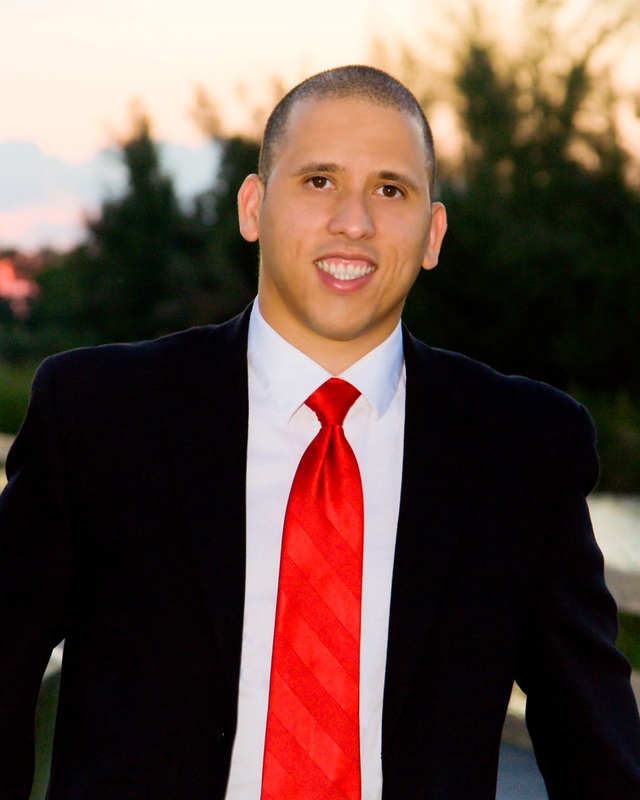 The discussion will be led by motivational speaker Andres Lara also known as “The Cuban Guy”. WHEN: Thursday, September 13, 2012 at 7 p.m. DETAILS: Hispanics, Latinos, and all immigrants to this country are those who were dissatisfied with the status quo in their homeland and were willing to do something about it. Leaving everything behind to start a new life with nothing says a lot about their commitment, determination, and motivation to excel. One example is Andres Lara. At age 16 Andres escaped from Cuba and arrived in America not knowing a word of English. Without his parents and without any money he was homeless and lived on the street. By age 24, Andres was an honors graduate of Montclair State University, the author of several international-selling books, and a nationally known speaker. In this talk, and in celebration of Hispanic Heritage Month, Andres Lara will tell his story. Using his experiences in both Cuba and the United States, Lara will discuss the broad social issues individuals – especially immigrants - face based on race, ethnicity, and socioeconomic factors and how such barriers can be overcome to achieve personal success and social change. WHAT: The Political Art and the Public Sphere (PAPS) series at the University of Illinois Springfield presents a screening of the documentary Blue, which explores filmmaker Derek Jarman’s experiences with AIDS. The screening will be followed by a group discussion. WHEN: Mon., Sept.17, 2012 at 6 p.m. 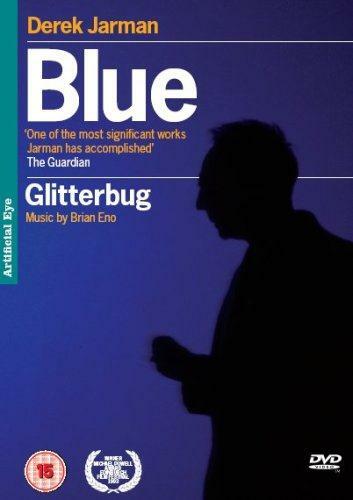 DETAILS: Against a plain, unchanging blue screen, a densely interwoven soundtrack of voices, sound effects and music attempt to convey a portrait of Jarman’s experiences with AIDS, both literally and allegorically. Blue is the twelfth and final feature film by director Derek Jarman, released four months before his death from AIDS-related complications. Such complications had already rendered him partially blind at the time of the film’s release. The film was Jarman’s last testament as a filmmaker, and consists of a soundtrack where Jarman’s and some of his favorite actors’ narration describe his life and vision. The PAPS series is a monthly event on the UIS campus hosted by Dr. Richard Gilman-Opalsky, associate professor of Political Philosophy. This fall, Dr. Michael J. Murphy, assistant professor of Women and Gender Studies at UIS will co-host and moderate each PAPS event. This semester, PAPS marks the 30th anniversary of the discovery and naming of the HIV virus (1982-2012). The fall series is dedicated to raising social, cultural, and political questions related to HIV, particularly how the disease has been treated as an affliction of a “despised sexuality,” as well as how different communities have been impacted by and have addressed the problem. All events are free and open to the public. WHAT: The University of Illinois Springfield Career Development Center will host the 2012 “Foot in the Door” Fair for students looking for part-time jobs, internships and volunteer opportunities – both on- and off-campus. The event is free to all UIS students. WHEN: Thursday, September 6, 2012 from 11 a.m. to 2 p.m.
WHERE: Public Affairs Center (PAC), lower level Concourse & Conference Rooms C/D on the UIS Campus. DETAILS: The “Foot in the Door” Fair is intended to bring students and local employers or organizations together to discuss career opportunities in a broad range of available positions. 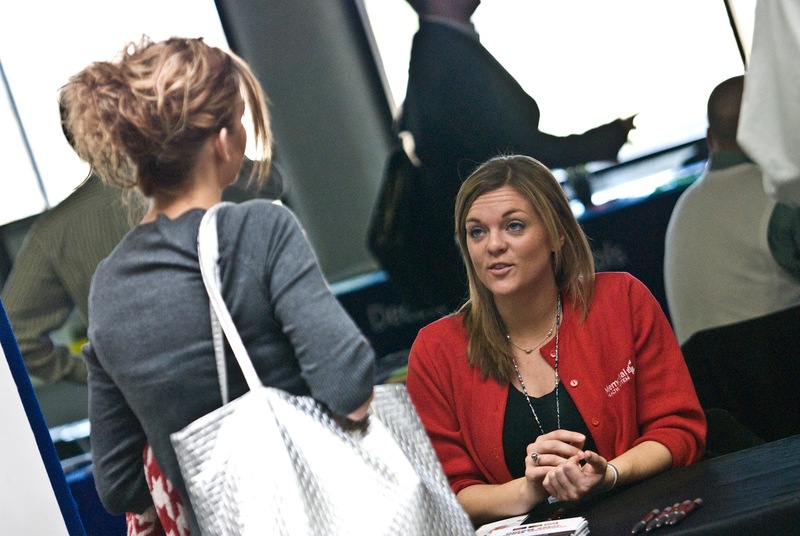 Students are encouraged to bring their resumes and networking cards to the event. A business casual dress code will be observed. A partial list of off-campus employers attending includes the Abraham Lincoln Presidential Library & Museum, Archer Daniels Midland (ADM), Best Buy, County Market, Disney College Program, Fast Enterprises, LLC., Fastenal Company, Federal Bureau of Prisons, Girl Scouts of Central Illinois, Hope Institute, Horace Mann, Illinois Government (Dept. of Revenue, Prisoner Review Board, Division of Rehab Services, Office of the Governor), Memorial Medical Center, Wells Fargo, and WSEC-TV. The complete listing of employers and other event details can be found online at www.uis.edu/career. For more information about the “Foot in the Door” Fair, go online to www.uis.edu/career or call the Career Development Center at 217/206-6508. Individuals requesting disability related accommodations should also contact the UIS Career Development Center.